Walking is something many of us do when moving from place to place. Actually, we do not even realize how healthy this practice is. In fact, walking is one of the simplest exercises that exist. It activates many chemical and physical processes in our body that improve our health. When you walk, you strengthen your joints and bones. In addition, it stimulates your metabolism, which means that you burn more calories. That’s why we recommend walking for at least 30 minutes a day, especially if you do not do any other physical exercise. Before you start an active ‘walking lifestyle’ – here are some products you should consider buying. 1 – A carry on water bottle, as the more you walk the more you will need to quench your thirst. 2 – A hat, protect yourself by wearing a hat when walking long distances in the sun. 3 – Antiperspirant for feet, especially during the hot summer days – this will come in very handy. 4 – Antiperspirant for sweat, as you’ll probably sweat a lot during summer days, these will help you keep your sweat to a minimum level. Because of the lack of activity for many people, we would like to share 7 benefits that come from everyday walking practice. Do you feel tired? Do you have problems with concentration? You probably have low energy levels. If so, a short walk each day can improve your physical as well as mental productivity.Walking optimizes blood circulation , resulting in cells getting enough oxygen to function efficiently. This exercise releases tension and stiffness that you feel in your joints and muscles , preventing pain during everyday activities. As walking is an activity that improves circulation and burns calories, it exerts a particularly positive effect on the health of the cardiovascular system. A daily, brisk walking improves the heartbeat , which makes the heart pump blood to the whole body without any obstacles. It also prevents hypertension. In addition, walking is a great way to increase the amount of good cholesterol (HDL), while reducing the level of this bad (LDL) and triglycerides. 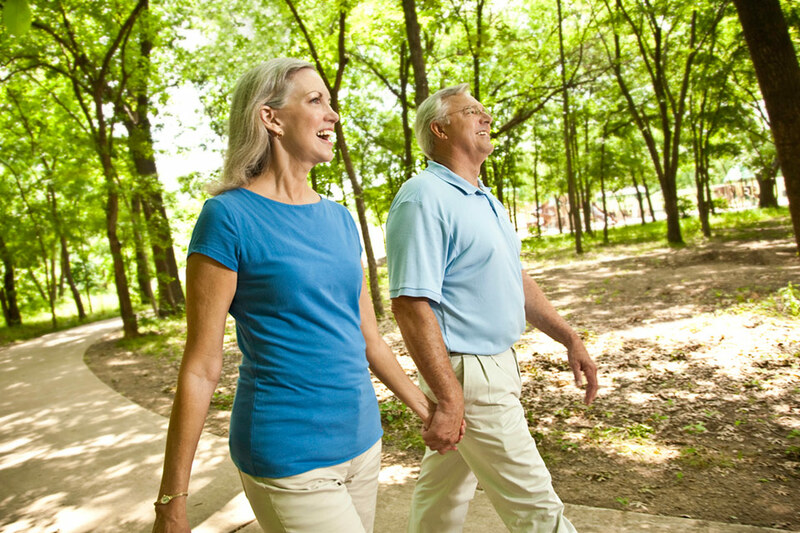 Like all cardiovascular exercises, walking is a great way to burn calories and shed some extra pounds. Although no miracle will make overweight disappear overnight, walking each day will increase the rate of calorie burning and will slowly help you get the figure you dream of. It is perfect if you lead a sedentary lifestyle. It does not require too much effort or a special place, such as a gym. The faster you go, the more fat you burn. Going for a walk can be very useful if you want to have athletic legs and firm buttocks. The group of muscles located in the lower parts of the body works the most. With time, you’ll notice that your calves and quadriceps are stronger. If you go uphill, the buttocks muscles also activate , while lifting and strengthening them. Your bones take a lot of benefits from everyday walking. This activity strengthens your bones, preventing loss of their density – the main cause of osteoporosis. In addition, it reduces inflammation in the tissues, keeping the osteoarthritis away . If you go outside during the day, you will provide your body with vitamin D, thanks to the sun’s rays. In this way, your body will better absorb calcium. Varicose veins and spider veins are one of the symptoms that you have some problems with the circulation of blood in the lower body. As walking improves circulation, doing it regularly helps prevent this kind of aesthetic problem. When walking, they mainly work legs. This prevents tissue inflammation and helps the blood return to the heart. In addition, the capillaries are strengthened and the risk of fluid retention in the body is reduced. Moderate exercise is a very healthy habit that improves well-being and emotional state while relieving stress and anxiety attacks. When you walk, a certain amount of serotonin and endorphins are released, which released into the bloodstream make you feel better. In addition, as walking optimizes the oxygenation of the brain, it is equally good at counteracting the effects of oxidative stress, the factor associated with depression and irritability. Do you still feel attached to your desk? If you do not move yet, set your goal to walking for 30 minutes a day and see how many positive changes this will cause in your body. Walking helps with alleviating headaches can help walking. It’s good to take small matters on foot, giving up the car, but remember that it’s best if you go for a walk-exercise, following a lively, regular step.